There are some four million people calling themselves Arab Americans, and almost two thirds of them in the United States are Christians. That is a lot more than the number of Americans living in, say China or Japan, and both those countries have channels such as CNN International, BBC and CNBC broadcasting. With the upheaval and persecution that Christians face in the Middle East a substantial number of them are making North America their home. In 1996, SAT-7 a Christian television program, aired its first broadcast speaking as the voice of Arab Christians to viewers in the Middle East and North Africa. Then after 17 years, SAT-7 expanded its network onto a North American Arabic Channel which will start airing on November 3. "As the Arab population with strong ties to their homelands continues to grow within the United States and Canada, the launching of SAT-7 North America captures a tremendous opportunity for quality Arabic Christian television programming," said Terence Ascott, SAT-7 founder and CEO in a news release on October 9. The network is looking to providing Arab immigrants and their descendants with what they term a "A Voice from Home." There are about 3.5 million Arab Americans in the United States and about 400,000 in Canada. The largest concentrations of Arab Americans in the United States are found in California, Michigan and New York states. The Arab American Institute breakdown of religious affiliation shows that 63 percent of Arab Americans are Christian. Of these 35 percent are Roman Rite Catholics and Eastern Catholics or Maronites and Melkites. Then, 18 percent are Orthodox, mainly Eastern Orthodox or Oriental Orthodox, while 10 percent of them are Protestant. Some 24 percent of Arab Americans are Muslims and their percentage is growing. A substantial number of American Jews also originate from the Arab region that straddles North Africa and the Middle East. 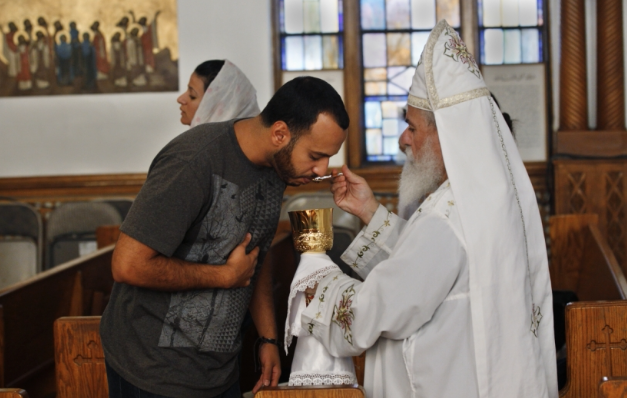 Arab Christians in North America come especially from Lebanon, Iraq, Syria, and Egypt. As of now, the Christian television program airs on five channels in Arabic and in other languages from the Middle East region such as Farsi, and Turkish reaching more than 15 million viewers. "Anyone with a satellite dish can turn on SAT-7 and hear the Word of God in his or her language. "Our viewers can join a global fellowship of Christians within the privacy of their own homes—a significant concern for those who live in violence- stricken or oppressive environments. Audience Relations Specialist are available throughout the region to counsel and pray with viewers," sat7usa.org says. The special North American SAT-7 programs will include broadcast for leaders, ministers, women, and children. "Program topics include SAT-7's kids, theological education, leadership training, health and lifestyle issues and Middle East current events. Periodic live special events and interaction with Middle East and North Africa churches will be shown on SAT-7 North America in real time," says sat7usa.org. SAT-7 North America will provide upcoming interviews that feature North American Arabs going into depth with what it means to be an Arab Christian living in the United States and Canada. A well-known Arab Christian, Bishop Munib A. Younan, the president of the 70-million-strong Lutheran World Federation says that in the 21st century, Christians in many parts of the world are experiencing persecution. He told Ecumencial News earlier this year that the solution for many of them who live as minorities is to claim equal rights as citizens. EN Editor-in-Chief Peter Kenny contributed to this story.